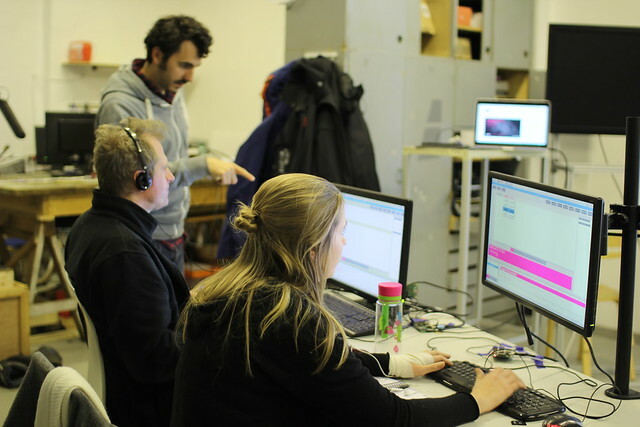 The workshop is meant for exploring creative use and utility of Raspberry Pi. Raspberry Pi is gaining popularity among artists, designers and exhibitions’ organisers. The interest comes from the low price of device, it is an open source, and its multi-funcionality. Raspberry Pi is a small-scale open source computer, which uses Linux operating system (Raspbian). Also the device has enabled physical inputs and outputs (similar to Arduino) for creating smart sensor systems. 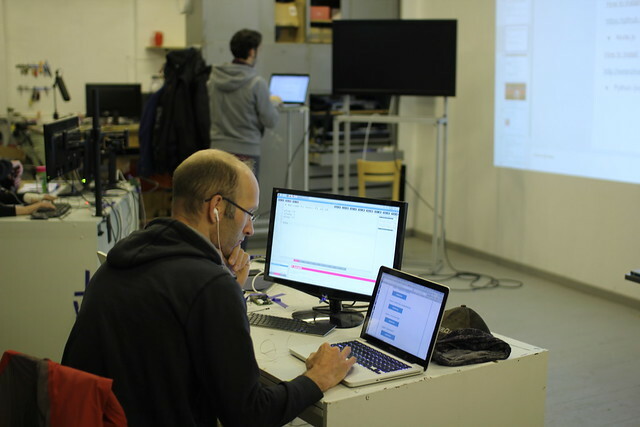 The main use of Raspberry Pi in the art field is playing video in loop, interactive sound and video installations, web- and codebased works, and much more. What is Raspberry Pi and its usage by creative people. Installation of Raspbian operating system and starting up the Raspberry Pi. Main linux terminal commands that are useful when using Raspberry Pi. Exploring the possibilities the device. Preparing the video file (codec, measures, etc). Option loop, symultaniously playing a number of videos, auto-start of the script. What is mapping and its possibilities with Raspberry Pi. PiMapper software introduction. Realization of simple project. Workshop took place at our studio 25th – 28th Oct’16.